Clare Atkins follows up her award-winning debut novel Nona & Me with this moving tale of two young people in Darwin who make a connection, though one of them lives in Wickham Point Detention Centre. Haunted by her life in Iran, Anahita is excited and nervous to finally start high school and see the world outside detention for a short time each day. At school she meets Jono, who seems like a typical teenager with headphones permanently plugged into his ears, but there is a sadness in him too. As their relationship evolves, their perspectives on the world begin to shift and change. And as Anahita’s precarious situation becomes even more complicated, tensions run high for the two teenagers and their families. 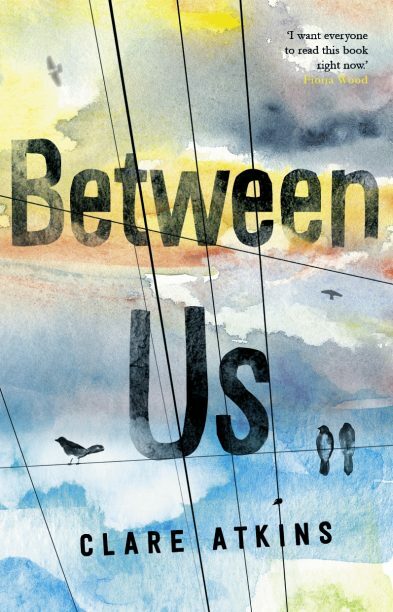 The novel also explores the perspectives of Jono’s father Kenny, who immigrated to Australia from Vietnam and works at the detention centre, and Jono’s aunt Minh, who came to Australia by boat in 1977. Atkins develops all these characters in nuanced ways, each one providing a facet to the complex, multi-generational stories of immigration and belonging in Australia. This is a story about internal lives, feelings and relationships, and the things we can and can’t control. It is realistic and charming, tackling some big issues with compassion and insight. It is recommended for readers aged 15 and up. Hannah Cartmel is an editor and co-founder of The Rag & Bone Man Press Inc.